DISCLAIMER: While we strive for accuracy, we cannot guarantee it. It is advisable to double check titles and showtimes on the respective venues' sites. The calendar lists only film programs. Some venues may also host video screenings, performances, and other events that, while possibly of merit, do not fall within the scope of this project. As of 2013 we are listing first-run engagements as well as repertory programs. 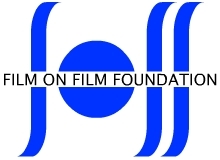 To report an error or to submit a listing please email filmcalendar@filmonfilm.org. Submissions must include title, venue, dates and showtimes, screening format (film gauge, etc. ), and any relevant notes and links.